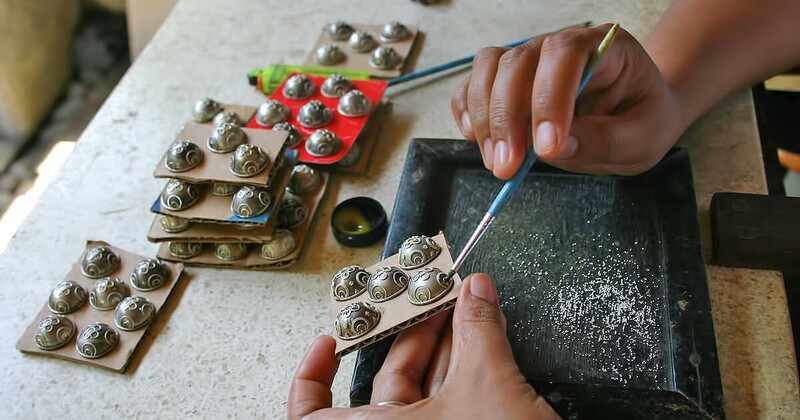 Explore the diversity of art processes in ubud. Dive into the vibrant life of ubuds market. Bali has a long history in various arts. Enjoy an excursion to the different artistic worlds of Bali. Walk around the Balinese art market, discover the art of painting, where local artists paint marvellous works of art by hand. 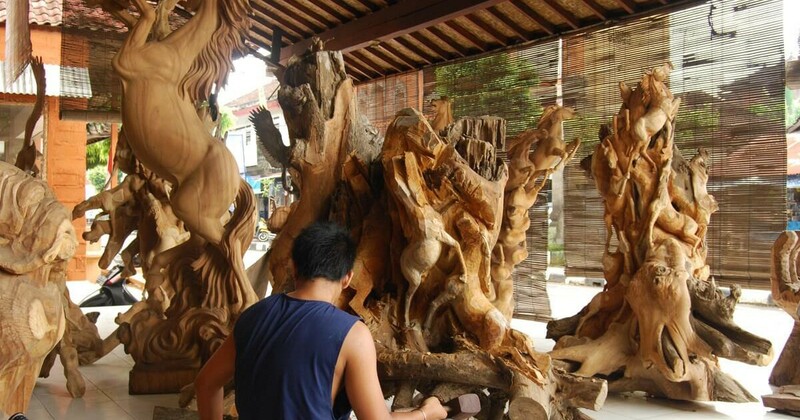 Afterwards, you can see the traditional production of woodcarvings – wonderful statues and sculptures made of the finest woods such as mahogany. 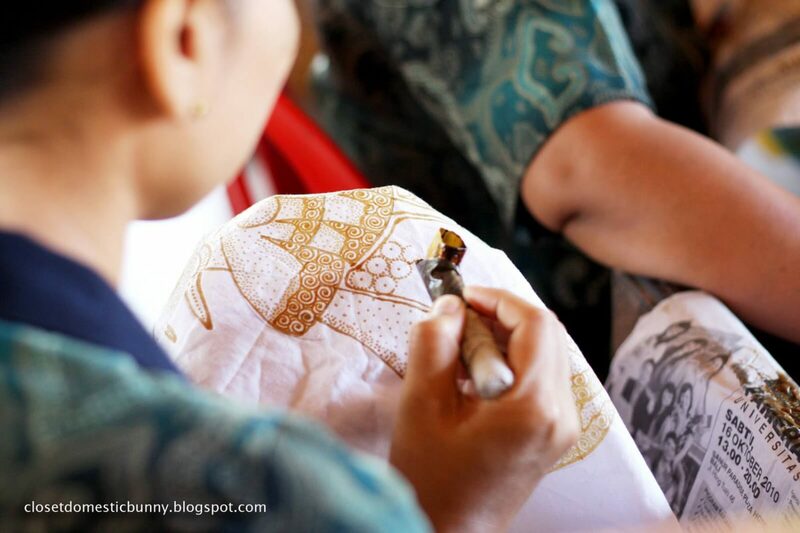 The traditional Balinese batik fashion with hand-drawn motifs will also be shown in another village. 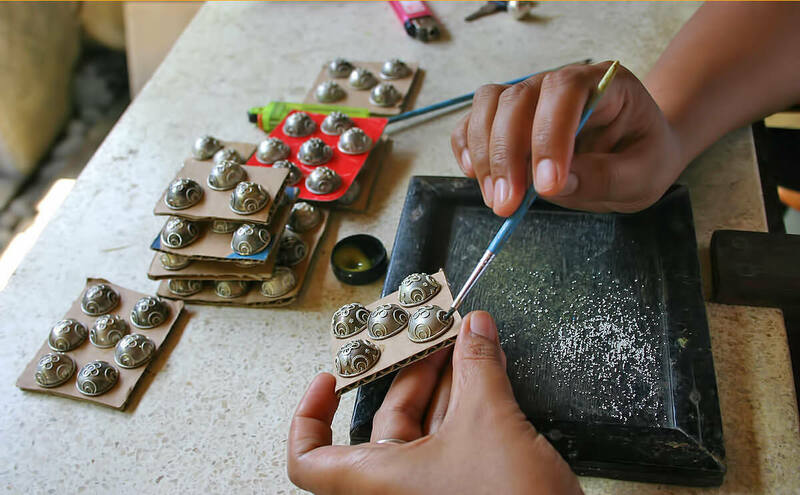 Discover Celuk Village, where the production of gold and silver jewellery on Bali has been perfected to a professional art and now attracts many tourists. As a first stop we will take a walk on the Ubud market for its many art products. There are two markets in Ubud, one for the locals and one for tourists. While you can find some fun items at the tourist market, you need to go to the local morning market if you want an authentic Balinese market experience. The market stretch from the west to the east is divided into two groups with a different designation. The western block is designated for traditional art market meanwhile the eastern block is designated for a traditional market sell daily basic needs. The market is opened every day around 08.00 – 18.00 hours, event some shops are opened until evening. While the traditional market sell the daily basic needs is opened from 06.00 and even before the opening time, there is early morning market opened at 04.00 am. The souvenirs or handicrafts are sold at the traditional art market are consisted of multifarious of contemporary handicrafts with relatively cheapest prices. Ubud Palance, or Puri Saren Ubud, is located in the downtown area of Ubud District, which is the most artistic area of Indonesia. It was projected and designed by the famous artists employed by the Ubud Kingdom. The palace was built in the 16th century. The interior was completed with delicate and fine workmanship and the decoration with gold foil which can be seen everywhere makes the palace look more magnificent and resplendent. A visit to the Puri Saren is on many of the itineraries to the Ubud area. It has well-preserved Balinese architecture and charming garden settings, and is best known among lovers of Balinese arts as one of the main sites to view dramatic evening dance performances. Paintings of Bali have experienced remarkable evolution. Traditionally another means of expressing religous and mythological ideas, paintings of Bali have been subjected to a number of influences, including deep interaction with Western painters who came and lived in Bali. Instead of religous or mythical characters of wayang, contemporary paintings present nature, daily lives of Balinese, or even tourists. The shaeds of coal gray that dominates traditional paintings are now accompanied by vibrant play of color capturing Jalak Bali or Gungun Agung in the morning sun. The Raja of Ubud was known for his fondness of arts and paintings, and his openness to foreigners. Ubud became the center of arts, welcoming into its heart renowned artists such as Bonnet, Spies, Blanco, Snel, et. many of whom came and never could leave Bali. Fabolous museums of paintings such as the Muji Family, Semar Kuning, and dewa Putu Toris have in their permanent collections some of the best paintings ever produced by Balinese or foreigners who found their physical and artistic home in Bali. 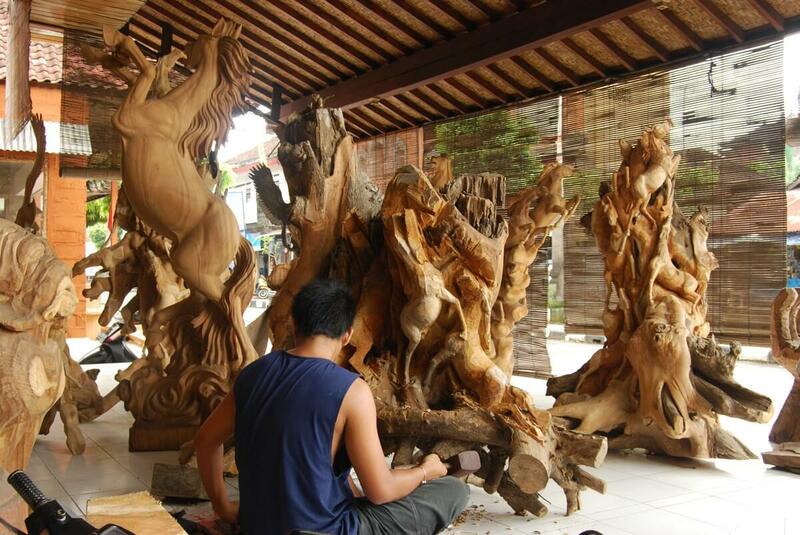 Mas Village is one of the villages in Bali fundamentally identified as an artistic countryside by focusin in artistic of wood carving. Mas Village is located in Ubud sub district and Gianyar regency, east part of Bali. It owns the typical style of wood carving art by placing forward the distinguish synergy the humanism and naturalism. The village’s pouplarity as an art village is famous in the national and world level which is not forgetting from the highness name of some maestros which has born and found the spirit(taksu) and soul. The famous maestro who was born in this village is Ida Bagus Tilem. Tohpati is widely known as the center of handmade Balinese batik with various colors and shapes. Here the visitors will be exhibited the Batik making and hand weaving process. Finally you can buy some to bring home. The specialities of Balinese Batik can be recognized at the strong Javanese motifs; some of modern Batik applies the paintings objects, such as Balinese culture, ceremonies, beautiful sites, or mythological figures. Batik is one of the most beautiful wearable art and the approach to the other side of Balinese rich culture. Celluk Village is the famous village in Bali as a tourist destination because of the local residents are very proactive and full of innovation at the craftship of gold and silver. This countryside is located in sub district of Sukawati, Gianyar regency and owns the individuality and excellence in production of gold and silver crafting. Most of them are Balinese professionals with an artistic and good developed sense for design related to gold and silver. The type of gold and silver craft which as been produced here are covering various type of rings, bangles, chokers, earrings, mother of pearls, broaches and other types. In spanning of artistic growth history, the silver and gold crafting had been started by a group of family pertained by Clan Pande. From this family circle, the activity of gold and silver crafting disseminated to entire society as a top profession which was previously farmers.